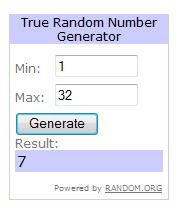 Comment #7 was left by momsforest! Congratulations! Please e-mail me with your full name and address and I will send off your new goodies next week.